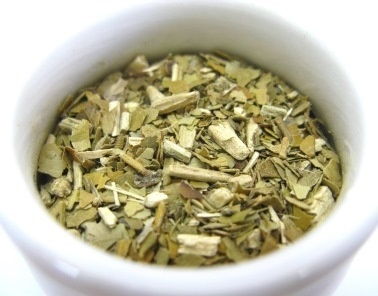 Yerba mate tea is an herbal tea famous for its energizing potential. It is made from the dried leaves and stems of the South American plant. This is one of the few herbs that contain caffeine apart from tea, coffee, guarana, cocoa and the kola nut. The infusion is considered a balanced tea as it is both energizing and nutritious as it is rich in a variety of components. It is often compared to green tea due to the presence of antioxidants and many other nutrients. In South America, tradition and social etiquette surround the rituals of drinking this tea. In the traditional way of drinking this tea no teapots are required for brewing, a special vessel is used instead. Come and enjoy this stimulating cup of tea! Yerba mate is made from the leaves of the native South American small evergreen holly tree, ilex paraguariensis in Latin. Today is plant is mainly cultivated and consumed in Brazil, the largest producer, followed by Argentina, Paraguay, Bolivia and Uruguay. The yerba mate plant is actually a holly evergreen tree that may reach a height of 15 meters in the rainforest. Its leaves are 7 to 11cm long and have a serrated edge. The tree blooms greenish-white small flowers and then have a tiny red drupe of a fruit that is only 4 to 6mm in diameter. The best quality, best flavored and most nutritious yerba mate grows in the shade. Leaves are harvested from May through September for commercial use and sometimes dried using wood fires, a method that gives the leaves their smoky flavor. The level of caffeine stored in the leaves may actually vary as well as its flavor depending on whether the plant is male or female (female plants usually have less caffeine and not such a strong flavor). The name “yerba mate” is a combination of “yerba”, the old Argentinian spelling for the Spanish word “hierba” (meaning “herb”); and “mate” derived from “mati”, the Quechua word for gourd, or container for the herbal infusion. Due to the great variety of benefits, the natives of South America would often be referred to yerba mate as “the drink of the gods”. Also referring to the health benefits, today it is referred to by some as the “new great tea”. You will find yerba mate being referred to by many different names, such as Jesuit’s Tea, St. Bartholomew’s Tea, Brazil tea or Paraguay tea. Other names just depend on where you are or what method or recipe is used when brewing this tea. For example, in Brazil you find this hot tea being called “erva-mate” or “chimarrão”. In Paraguay, on the other hand, a cold infusion is prepared and it is called “tereré”. “Chá mate” may be either hot or cold and is made with toasted leaves, whereas the previous two are made with green yerba mate leaves. Yerba mate tea has been consumed in South America for centuries. The first people to consume this beverage were the Guarani, cultivating it and then spreading it to the Tupí people in Southern Brazil. The Guarani legend states that when the Goddesses of the Moon and the Cloud came down for a visit they were almost attacked by a jaguar. An old man saved them and so he was given this new plant that he would serve as a “drink of friendship”. And so yerba mate became a communal and medicinal drink of the tribes, used as a natural source of energy. After the European colonization, the cultivation of yerba mate spread to other parts of the continent by the Jesuit missionaries, slowly becoming part of the cultural tradition of many South American countries. In the 19th century and early 20th century, Brazil and Argentina grew to become the largest producers of yerba mate. Over time, yerba mate has slowly been introduced to other continents and may be found today being consumed in the Middle East. Today yerba mate tea is still much appreciated in South America, having become the national drink of these countries. Drinking it at social gatherings is considered normal, following the traditional rituals of sharing and passing the typical gourd with its metal straw (the bombilla) around among friends. While the original gourd was made from hollowed calabash, today gourds are made from several materials, such as wood, glass, ceramic and even silicone. Around the world, people drink this tea resorting to other simpler methods of brewing this tea. 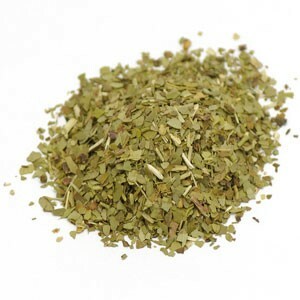 Yerba mate has also found its way into many tea blends and energy drinks as well. It is loved for its taste as well as for its many health benefits, which are growing in reputation everywhere. Yerba mate tea is viewed in many places as a healthy energy booster. Yerba mate is an incredibly rich and nutritious herbal tea. It contains a high amount of antioxidants, polyphenols, tannins, volatile oils, resins, fibers, bitters, amino acids and flavonoids. It is also rich in vitamins A, B-complex, B1, B2, B3, B5, C and E, as well as such elements as calcium, iron, magnesium, manganese, phosphorus, potassium, silica, sodium, sulphur and zinc. 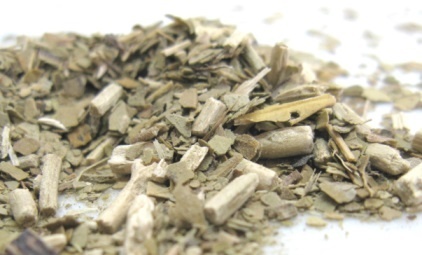 The most important component in yerba mate is mateine, a form of caffeine that is responsible for some of the main health benefits of this tea. The amount of caffeine present in this herb is lower than the amount found in coffee and is comparable only to teas with the lowest amount of caffeine. The presence of caffeine in yerba mate tea makes each cup a great way to enhance your energy levels, stimulating the central nervous system and thus reducing tiredness and fatigue. It is ideal to replace caffeinated beverages such as coffee or colas. This physical and mental tonic is said to provide an increase in energy that is gentle and smooth, without the uncomfortable jitters and sleep deprivation usually associated with coffee. Some athletes have been known to use it to enhance performance as it boosts stamina, vigor and vitality. Yerba mate tea is said to help combat stress, helping to regulate the production of hormones, such as adrenaline and cortisone. It may also improve your mood, serving as a nerve tonic that may help ward off depression. If you are not sensitive to caffeine, the balancing nature of this tea may actually help you sleep better. Yerba mate tea is not only known for improving alertness and wakefulness, but it is also said to boost mental activity, improving brain function. It may be that drinking this infusion helps to increase cognition, memory and ability to focus and concentrate. It is said that drinking this tea will help boost your productivity and creativity as it provides not only caffeine to the body, but also essential nutrients to the brain rejuvenating the mind. A cup of yerba mate tea may help you treat digestive disorders, from indigestion and stomach problems, to intestinal issues such as constipation or diarrhea. Take this tea when you either need to improve your digestion or promote a healthy intestinal tract. This herbal tea is said to treat indigestion by reducing acid reflux or stomach acidity, it may also speed up digestion by stimulating bile production. At the same time, it helps to cleanse the colon by eliminating harmful wastes. Its antibacterial properties may help not only relieve food poisoning, but also fight harmful parasites that could be causing you intestinal problems. Yerba mate is considered to have purgative and laxative properties, so be careful when drinking it so as not to cause unnecessary intestinal distress by having a few too many cups of this tea. The caffeine content in this herbal infusion is said to help you excessive weight and fight obesity by stimulating the metabolism to best help your body to use carbohydrates and proteins while burning unnecessary fatty elements. Drinking this herbal tea may also allow your body to lose weight simply by reducing the absorption of dietary fats or high cholesterol elements into the blood stream. However, further study is needed to confirm these results. At the same time drinking this tea could help give you the energy you need to exercise on a regular basis. It also seems to have the reputation of helping you to control your appetite, so when you eat make sure to eat healthy foods. The antioxidants in yerba mate tea may help protect the heart and cardiovascular system, strengthening heart and blood vessel walls, and controlling blood pressure. Antioxidants and caffeine in this herbal tea may help to promote better blood flow and be used in cases of weak heartbeat and low blood pressure. This may also be helpful in breaking up bad cholesterol (LDL) deposits in arteries, possibly prevent heart attacks. It helps to promote more sustained energy, allowing you to exercise more regularly and for a longer period of time, something that could benefit your heart by delivering more oxygen and nutrients to it. The link between yerba mate tea and cancer is still controversial, as there seems to be indications that the antioxidants present in this tea could help prevent cancer. At the same time studies are being performed as to the possible role of drinking hot yerba mate tea in the occurrence of oral, esophageal or larynx cancer. Yerba mate tea is rich in antioxidants, saponins and tannins that may fight free radicals that cause cell mutation. Cell degeneration is responsible for the appearance of cancerous cells that spread and grow. Studies are being performed as to the ability of yerba mate to promote cancerous cell death. 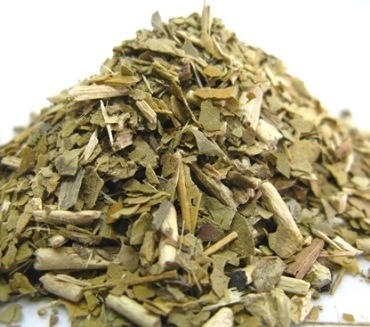 Drinking yerba mate tea may help resolve some bladder and kidney issues. Its antioxidant and other components may treat urinary tract infections, and at the same time prevent the formation of bladder and kidney stones. The caffeine content in this herbal tea may induce you to urinate more frequently, something that could aid in clearing out kidneys and bladder of harmful bacteria. One look at the list of components found in a single cup of yerba mate tea is enough to let you know the nutritious and healing nature of this tea. It may play a role not only in helping to treat illness, but also in preventing disease by boosting the immune system. Yerba mate tea is rich in flavonoids that help prevent inflammation and help improve your general health. The overall nutritious content stimulates white blood cell activity, your body’s defense system against illness. By building your defenses, this tea could boost your defenses against seasonal allergies, reducing fever, strengthening the lungs, detoxifying the body, and speeding up recovery time when you do get sick. If you have diabetes, then talk to your doctor about drinking yerba mate tea, because with the right supervision, this tea could be helpful for you. It is said that this tea may be helpful in cases of hyperglycemia in diabetes, controlling blood sugar levels. There may be hope that this tea could be used by those who are in a situation of prediabetes, but again, this should be followed up with a doctor. This is a good tea to drink when you are suffering from general weakness, because it may help build physical endurance. Yerba mate may teach your body to better metabolize carbohydrates in food, and reduce lactic acid buildup in your muscles that occur when you exercise, allowing you to recover faster from your workout. Yerba mate tea may also prove helpful for menopausal women who are more prone to osteoporosis. There may be evidence that this tea helps to build bone density even in women who don’t exercise often. It also helps to improve motor responses, an important factor as you age and may have more trouble keeping your balance. Yerba mate tea is said to stimulate the adrenal cortex and help the health of your adrenal glands, responsible for regulating androgenic hormones. This may be linked to improved libido in both sexes, mainly men. However, further studies are needed to verify these claims. Boost your energy levels with this tea! Yerba mate tea is considered a healthy beverage, but there are some side effects you should be aware of, particularly because this herbal tea contains caffeine. This herbal tea contains caffeine and people who are particularly sensitive to it may experience some anxiety, nervousness, heart palpitations and even difficulty sleeping. In extreme cases, nausea and stomach upset may also occur. When this happens, choose a herbal tea without caffeine. Drinking too much yerba mate tea could result in an increase in blood pressure, headaches and frequent urination. The amount of caffeine in yerba mate may vary, so drinking too much may sometimes be worse than drinking coffee or certain varieties of tea. One of the side effects of the presence of caffeine in yerba mate is that it tends to cause calcium levels to be depleted. So menopausal women who are more prone to osteoporosis, should refrain from drinking too much of this tea for fear of it causing weak bones. Too much yerba mate can make diarrhea or irritable bowel syndrome worse instead of better, because of the overdose of caffeine you would be ingesting. Caffeine in yerba mate may also prove to be harmful for people with diabetes as too much could hinder the ability to properly process sugar or control blood sugar levels, possibly dropping to dangerous levels. So be careful if you are taking any medication for diabetes. 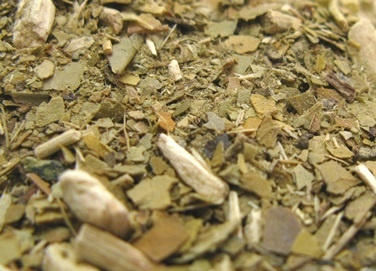 If you suffer from liver disease that could be made worse by drinking too much yerba mate tea. So make sure to stay within the dosages recommended by a doctor who is familiar with your medical history, particularly if you are on medication. There is concern that drinking yerba mate tea could be linked with esophageal, oral, pharynx or larynx cancers. Studies are being performed to assess the cause: is it the components in the herb that could cause the cancer, or is it simply the way this tea is drunk? Some believe that the frequent exposure to hot liquids is linked to this particular kind of cancer. Considering that traditional yerba mate is drunk through a straw it may mean that hot liquid is directly projected to the throat when compared to regular way of drinking from a cup. At the same time, the some believe that the increased risk of cancer is linked to the caffeine in yerba mate when mixed with other harmful contributing factors such as regular alcohol consumption and tobacco smoking. Studies are also being performed to test the risk of cancer linked with regular consumption of large amounts of this tea over extended periods of time. This could mean that healthy adults that only occasionally drink this tea and do it moderation are very likely to not be at risk. If you are still worried about drinking this herbal tea, there seems to be studies that indicate that yerba mate leaves that have been air-dried instead of using wood fire may be less harmful for you in the long run. If you are pregnant, then it is best to avoid yerba mate tea. Caffeine is still present and may vary from one producer to the other. Caffeinated beverages may harm the fetus, hindering its development, or even increase the risk of miscarriage or premature birth. It is also best not to drink this tea when you are breastfeeding an infant. Young children should not be exposed to caffeine at an early age because it may cause irritability, bowel problems and difficulty sleeping at a stage in life when sleeping is very important. This herbal tea is not suited for people with a history of anxiety and who are taking medication. Mental illnesses should be followed up with a doctor and drinking caffeinated teas like this one should be discussed. This is particularly important when your medication has a stimulating effect. Alcoholic beverages and yerba mate don’t mix. If you smoke or drink alcohol regularly, then drinking yerba mate could increase the risk of certain cancers as well as make it more difficult to break down the caffeine in this herbal tea leading to many of its side effects. A history of heart disease is a reason not to drink this tea without talking to your doctor first. The caffeine content may interfere with your medication, altering its ability to stabilize your condition, and cause heartbeat and blood pressure to rise out of control, and hinder blood clotting. Because of its caffeine content, yerba mate tea is said to interact with a number of prescription medications, such as antibiotics, estrogen or lithium. Caffeine interacts badly with these medications and your body has a hard time processing them. Due to the presence of caffeine, it is also not advisable to drink this tea if you suffer from glaucoma as it may increase the pressure inside your eye. Just to be safe, talk to your doctor first. Yerba mate tea may be made in the traditional way, following the South American traditions, or in a simpler way, when you don’t have at home all the necessary utensils, but still wish to enjoy a cup of this tea. Yerba mate tea is made from the dried leaves and stems of the plant and these may be found all around the world in either loose leaf form or in tea bags. Let’s begin with the easiest of all recipes, one you can make at home without the need of any additional instruments. Start by heating water to about 70ºC – 80ºC (158ºF – 176ºF). Use a thermometer, if you have one, but here the essential thing is not to use boiling water. Boiling water will give your tea a bitter flavor. Put 1 to 3 teaspoons of yerba mate per cup of water (250ml) in a teapot. The more tea you use per cup of water, the stronger it will be, so it comes down to how you like your tea. You can use a tea infuser or tea ball to put the leaves, making the straining process easier. Let your tea steep for about 3 to 5 minutes. The longer you let the herb steep, the stronger the tea will taste. Strain and then add milk, brown sugar, honey, citrus rind or lemon juice according to your taste. If you are making this recipe to turn into iced tea, then you may consider adding a bit of mint to add a touch of freshness to your infusion. Drink and enjoy. This tea has a smoky strong flavor, so learn to adjust the amount of leaves and steeping time to your liking. If you have ever tried Lapsang Souchong tea, it has a smoky resemblance to this Chinese black tea. This is a very versatile tea as it can be made in different ways, either in the traditional gourd, or simply using a coffee machine or a French press. If you want to start with a milder version of this tea, do not be afraid to use tea bags. In some South American countries, this is how children are slowly introduced to the tradition of drinking this tea. For those who still feel that this tea is too bitter, you may try making this tea with warm milk instead of hot water. And in the summer try infusing it in cold water and adding ice. Fill the gourd up to 3/4 full with yerba mate leaves and stems. Cover the top with your hand and then turn it upside down. Your hand will serve as filter as you shake the gourd to release the powdered leaves out of the gourd. Now tilt the gourd so as to have all the yerba mate up against the wall of the gourd and fill up the remaining space with cool water. Once the leaves absorb this water they are ready to be infused. Insert the bombilla into the empty space. Heat water, making sure not to let it boil, but just reach a temperature of 70ºC – 80ºC (158ºF – 176ºF). If you are considering drinking this tea on a regular basis, you should by a tea thermometer to help control the temperature. Then fill the remaining space of the gourd with the hot water. 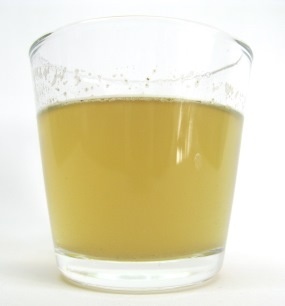 Note: if you use boiling water, the flavor of your yerba mate tea will be very bitter and may become undrinkable unless you fill it with sugar making it less healthy for you. Add sugar or honey if you wish. Some people choose to brown sugar in a pan with some lemon juice and add this mixture to the yerba mate tea. Allow the tea to cool a bit and then drink it through the bombilla. This straw will serve as a filter, allowing you to only drink the tea, but not the leaves themselves. Now enjoy your tea! Remember that the gourd may be refilled with hot water until the yerba mate loses all of its flavor. Of course, there are many other ways to make your yerba mate tea. Recipes and methods may vary according to the traditions and rituals of each region. Just remember to clean the gourd after you’ve finished your tea and leave it out dry. This will prevent rotting or leaving a bad taste the next time you brew your tea. Adding sugar or honey is called creating mate dulce (sweet mate), whereas leaving it without sugar is called a mate amargo (bitter mate). Brewing your mate tea with cold juice or water instead of hot water is called a “tereré”. This manner of enjoying this tea is typical of Paraguay. Drinking yerba mate tea is a social experience in South America. Friends and family enjoy it at gatherings where the same gourd and bombilla is shared by everyone drinking. The host or server is called the cebador, and it is this person who fills the gourd and brews the first batch of yerba mate tea. The host drinks this first brew to ensure that it is of good quality. Giving the first brew to another person to drink is considered bad manners as it has not been tested. The host reinfuses the tea and passes it to the person on the right. This person must also drink the whole of the brew and return the empty gourd to the host. The tea is rebrewed and passed on to the next person and so on. It is considered rude to complain about the temperature of the tea or taking too long to drink, as other guests are waiting their turn. When one has had enough to drink, it is then polite to thank the host, not before. Buy Your Yerba Mate Tea Today! Click on the image or on the link below to purchase from Starwest Botanicals your yerba mate leaf. Enjoy a stimulating cup of tea with a smoky flavor. 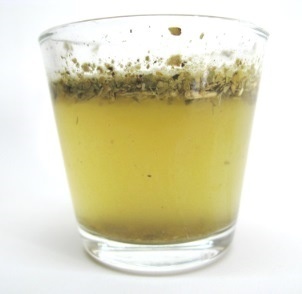 You can choose either green or roasted yerba mate to make your tea and reap its benefits. Buy your yerba mate leaves! and check out bombillas and gourds to make your tea the traditional way! Are you now ready to try this South American herbal tea? This is a unique beverage surrounded with rituals and tradition, but don’t let this stop you from enjoying a healthy cup of tea. May this tea bring you the energy you need!